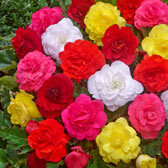 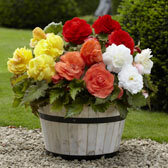 Begonias are one of the most rewarding summer plants possible to grow in Britain and they will flower profusely from June to October. 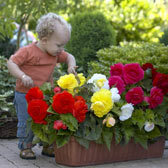 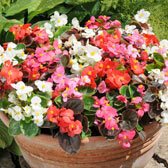 Ideal for growing in pots and containers on the patio, or they will make a beautiful flower bed subject. 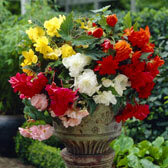 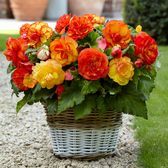 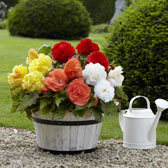 Have a look through our large range of summer-flowering Begonias below and we are certain you will find something to brighten up the summer garden. 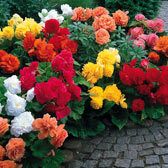 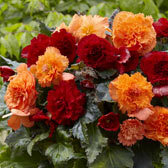 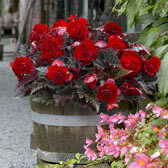 Supplied as Belgian grown tubers which are easy to plant and easy to care for, simply lift and store Begonia tubers over winter for replanting the following year.